It’s common for patients to cringe when they find out they need oral surgery or a tooth extraction. 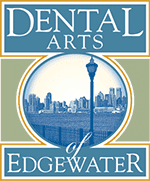 But with advanced sedation treatments and surgical techniques offered by Michael Moawad, DMD, of Dental Arts of Edgewater in Edgewater, New Jersey, you won’t have to stress. Dr. Moawad and his team specialize in gentle modern oral surgery practices, including wisdom teeth removal and children’s tooth extractions. The team ensures your procedure is as quick and painless as possible, so you can get back to doing the things you enjoy. Call or book an appointment online for a consultation with Dr. Moawad. How does a dentist perform a tooth extraction? Pulling a tooth typically is the last resort for resolving an issue with an unhealthy or severely broken tooth. For most teeth, the process is as simple as numbing your gums and wiggling the tooth out of place. This is often the case with smaller front teeth in adults, or with temporary baby teeth in children. If you need a molar removed, your oral surgery procedure is a little more difficult. With bigger teeth, Dr. Moawad sometimes has to break the tooth into smaller parts and remove each section separately. While this may sound like a difficult type of surgical dental extraction, Dr. Moawad has extensive training in complex extractions. Because he’s performed so many oral surgery procedures, he’s known for his quick and efficient extractions. Do I have to get my wisdom teeth pulled? It depends. Wisdom teeth are often referred to as your third molars. Some people have plenty of room for these extra teeth and don’t have any issues. Most patients don’t have enough space in their mouths for wisdom teeth though. As they start growing in, they push other teeth out of line and make biting and chewing more difficult. Dr. Moawad takes X-rays to see if your wisdom teeth are overcrowding your mouth. If you do need to have them pulled, he offers flexible scheduling so you have your oral surgery procedure done when it’s convenient for you. Anytime you have surgery, you’re going to feel some discomfort. Oral surgery is no different, although you shouldn’t be in excruciating pain. Dr. Moawad may offer sedation dentistry options to put your mind at ease. One of the most common types of sedation, nitrous oxide (laughing gas) puts many patients to sleep. Sometimes patients report having no memory of their oral surgery at all. Dr. Moawad works with you to find the best type of sedation to suit your needs, even if you need oral or IV sedation. Dr. Moawad and his team provide advanced oral surgery treatments for all ages. Schedule your oral surgery or tooth extraction by calling the office or using the online booking feature.